Joint replacement surgery is often recommended for patients who are unable to perform everyday tasks, such as sleeping, without difficulty and pain. State-of-the-art technology has made joint replacement surgery more successful, resulting in increased popularity among both physicians and patients. Have I tried all recommended non-surgical treatment methods? Joint replacement surgery should only be pursued when non-surgical treatment options have been exhausted. These may include topical or oral medications, injections, holistic remedies, exercise, physical therapy, occupational therapy, or mobility assistive devices like a cane or walker. Have I made all the recommended lifestyle changes? To achieve the full benefits of any treatment method including surgery, your doctor may advise you to make lifestyle changes. You may need to lose weight, stop smoking, or make adjustments to your activity level. Can I live with the pain I’m experiencing now? If the level of pain you are experiencing is negatively affecting your daily life, or if the side effects from pain medication are harmful to your health, surgery may be the best option. Has the pain gotten worse over time? If you’re experiencing high levels of pain, pain that has grown worse over time; or pain regardless of if you are moving or resting, joint replacement surgery may provide relief. Is minimally-invasive joint replacement surgery an option? 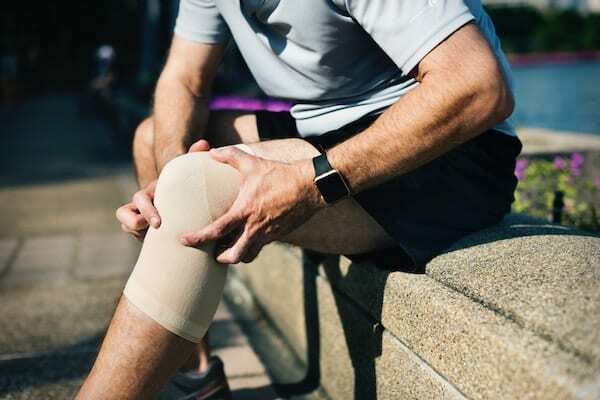 Minimally-invasive joint replacement involves joint realignment, ligament reconstruction, and arthroscopy–all of which are performed through tiny incisions. This option is an outpatient procedure with a quicker, easier recovery. Am I in otherwise good health? Beyond the joint pain, it is important to be in good overall health prior to undergoing joint replacement surgery. Your physician will conduct an evaluation to determine if you are healthy enough to withstand the anesthesia and rehabilitation process. Am I dedicated to the recovery process? Joint replacement surgery isn’t an instant solution–it’s a process. It’s important that you are committed to post-surgery rehabilitation in order to regain muscle strength, range of motion and good mobility. Doing too much too soon or not moving enough after surgery can both be detrimental to your surgical results. What is my insurance coverage? There is more to a joint replacement procedure than the surgery itself. You will also need rehabilitation, and may even require in-home care for a short period following. Know what your insurance covers and make sure you are able to cover any out-of-pocket expenses. Are you experiencing chronic or severe joint pain? Paris Orthopedics and Sports Medicine has six expert physicians that can help you determine if joint replacement surgery is right for you. Call 903.737.0000 to schedule an appointment today, or request an appointment online.